Tick, tock. 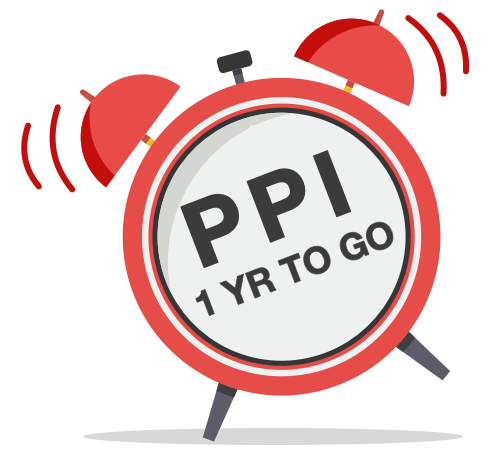 Today (Wed) marks a year till the 29 Aug 2019 deadline to reclaim mis-sold PPI and the clock's ticking ever louder. With the publicity the 1yr countdown'll get, banks' and the Financial Ombudsman Service's PPI departments will get busier, and it can already take months for some cases to go through the Ombudsman's system. So time's of the essence - ACT NOW to get your claim in. Over £30 billion has already been claimed back and it's thought there are many billions still to go. To help, we outline the key reclaiming steps below, but for full info see our PPI reclaiming guide and tool. And we've seen huge successes... Annette's is a typical pay-out: "I gave it a whirl - am £2,700 better off. I say listen to Martin and DO IT." While not everyone gets the massive sum Suzi did, her success shows what's possible: "Over the years, I've got £100k, incl £40k from RBS & £21k from Littlewoods - via letters and Resolver. I'm debt-free & it's paid for two holidays and home improvements. Thanks." Were you outright mis-sold it? Banks, car salespeople, shop assistants and others may have lied that PPI was compulsory, added it without asking and/or failed to ensure it was suitable. See the full mis-selling checklist. You can claim for PPI as far back as you like, though it gets harder for pre-2005 reclaims. If you were mis-sold, you're entitled to the full amount back plus interest charged on the insurance premiums. Plus, you get an additional 8% interest. Have you been Plevined? Even if you wanted PPI you may have been mis-sold. This is about excessive commission taken by banks and building societies. After a landmark 2014 ruling called Plevin (the name of the successful claimant), if 50%+ of your PPI's cost was made up of undisclosed commission (most wasn't disclosed), you're due the extra above it. And on loans lenders typically took a HUGE 67%, for example. On a £10k loan over 5yrs, Plevin compensation is typically £500. So just having had PPI means you may well have been mis-sold. Watch Martin's Plevin video to see how outrageous banks' and building societies' commission was. For this to count, the PPI and loan had to be active at some point since Apr 2008, though there can be exceptions. - Can I claim under Plevin if I've already had a mis-selling payout? Afraid not, even if you didn't get the full amount back. - I think I had PPI but I'm not sure I was wrongly flogged it - should I just do a Plevin claim? NO - STOP. It's VITAL to check first if you were originally mis-sold PPI as you'll get a bigger payout. If the bank rejects your mis-selling claim, it should then automatically assess you for Plevin. First, check you had PPI even if you think you didn't. Check all old credit cards, mortgages, loans, store cards & overdrafts to see if there was PPI. It may have been called 'payment insurance' or 'accident or sickness cover'. As KH emailed: "We believed we never had PPI until we saw you tell everyone to check, even if you didn't think you had it. We had three policies over the past 20yrs and got almost £5,000 back. Thank you." - Can't remember the lender? All debts active in the last 6yrs are on your credit report(s). Get your Experian report for free via the MSE Credit Club, plus see how to check other reports. It won't show whether you had PPI, just the lenders to check. - Not got the paperwork? Request it from your lender going back 6yrs. If your loan or card's older, but you may be too late, check the link for what you can still do. Colin tweeted: "Biggest THANKS to @MartinSLewis & @MoneySavingExp. I was pessimistic about PPI as had no a/c numbers so filled online form for Lloyds more in hope than expectation. Today I got a letter saying I'd get £6,388." Not claimed before? Do it yourself for FREE. You do NOT need to pay to reclaim as claims handlers typically take a third of your payout - often £1,000s - and do very little you can't do yourself. To do it easily, use our free reclaiming tool. If you use it, it'll send your claim direct to the bank, building society etc that sold the PPI which should assess you under traditional mis-selling, and if that fails, under Plevin. If rejected on a new claim, go to the Financial Ombudsman Service - it's free. Sometimes banks & building societies say 'fair cop' & pay out £1,000s in just a few days. But if they wrongly reject you (as many scandalously do) and you've exhausted their complaints process, you've six months to take your case to the Financial Ombudsman Service. It's an independent body which can adjudicate and, if it upholds your claim, force banks to pay you back. If you use our free reclaim tool above, you can easily escalate the case to the Ombudsman if you're turned down. If you're struggling or unsure, call the Ombudsman helpline on 0800 121 6222. Even if you've been turned down before, claim again. There are 1.2m whose claims were turned down by banks, building societies and other firms (even where the ombudsman agreed with the rejection) who are now eligible to do it again under Plevin. You should have been notified of this by whoever sold you PPI, but if not, claim anyway. Say you're doing so on the basis that you may have paid undisclosed high commission. If you've still got details from your previous claim, use those to help with your new one. However, don't worry if you don't. Resolver, which operates our reclaim tool, says banks have been preparing in accordance with Financial Conduct Authority (FCA) rules to be able to find former PPI customers. Go to our free Plevin reclaim tool which will ask for a few straightforward details. But first check which you're most likely to get. We list the top deals below, yet don't just apply willy-nilly. Use our Balance Transfer Eligibility Calc which shows which cards you've best odds of getting, without hitting your creditworthiness. (1) % of debt shifted. Go for the lowest fee (after factoring in cashback) in the time you're sure you can repay. Calculate how long you need to clear the debt, add a bit for safety, then pick the lowest fee within that time. Unsure? Play safe and go long - the fee is usually small compared to the interest after. Some have an 'up to' 0% length, so you may get a shorter deal even if accepted. That's why we also include the best non 'up to' options, where you'll get that length if accepted (our eligibility calc says if you've got good odds). Balance Transfer Golden Rules. Full help and more best buys in Best Balance Transfers (APR Examples). a) Clear the debt or shift again before the 0% period ends, or the rate jumps to the rep APR. b) Never miss the min monthly repayment or you could lose the 0%. d) You must usually do the transfer within 60/90 days to get the 0% and cashback. Ends Thu 5pm. Rare, cheap Big 6 energy tariff - can you save £300+/yr? There's been a raft of price hikes recently, but don't let 'em rip you off. We know many want a big name and there's a hot EDF dual fuel deal for new AND existing custs. It's the cheapest biggie in 8 of Britain's 14 energy regions, and mega-cheap in many big cities. It's £876/yr (incl MSE cashback) on typical use in some areas vs the avg £1,221 Big 6 standard tariff. You can't get it direct so use our Cheap Energy Club's big name supplier comparison to check if it's a stonker or stinker for you - it was supposed to close at 11.59 Thu but was ended early. For the overall cheapest, do a full market check. Ryanair cuts hand luggage allowance AGAIN. See Ryanair hand luggage help. Ends Thu. Amazon Prime £20 off. Get £59 1yr Prime (or 1mth free). Gets TV, movies, music + quicker deliveries. Renewal due in next month? NEVER auto-renew or you'll be fleeced. Instead, combine comparison sites to speedily find your cheapest. Aim to check and buy 21 days before renewal (or the start of a first policy), but if you've less time, hurry, as our investigation showed prices keep rising the closer you get. Comparisons check dozens of quotes in seconds. But they don't all cover the same insurers, so try a few. Our current order's MoneySupermarket*, Confused*, Compare The Market* & Gocompare* (see how we rank them). Then check against hot deals comparisons miss, incl free vouchers. Some deals aren't on comparisons, eg, £55 Amazon vch via Admiral*, £55 M&S vch via Age UK* (ends Thurs), a Co-op* £50 food vch, or a £40 Amazon vch from Direct Line* or Churchill*. Note, vchs can take 120 days to arrive. Plus you won't find big insurer Aviva* on comparison sites. See hot deals comparisons miss. - You can usually cancel an expensive policy and move to a cheaper one. As long as you haven't claimed, you'll often pay a £50ish admin fee (factor that in) and get the rest of the year refunded. The key is to set your new policy to start 21 days after you get the quote to get the best price. Full help in switching mid-policy. - Renewal 30-60 days away? You can lock in a price. While 21 days ahead is best on avg, you may find a few insurers let you lock in a quote up to 2mths ahead. Get a quote, then check against comparisons closer to renewal and go for the best. - Use trial & error to see if comprehensive's cheaper than 3rd party. - Check if adding extra drivers slashes costs. If they're a lower risk than you, it can bring the cost down. - See if legitimately tweaking your job description cuts costs. School uniform set from £7.50, at Asda, M&S, Next, Sainsbury's etc. See our back-to-school round-up. Ends Fri. £20 cashback on top travel credit card. Like most specialist overseas cards the Halifax Clarity (eligibility calc / apply*) card doesn't charge the usual 3%-ish fee on spending or at ATMs abroad, though you often pay a little interest on cash withdrawals. Apply & get accepted by 11.59pm on Fri and it gives £20 cashback on your first spend in a foreign currency by 30 Sep. 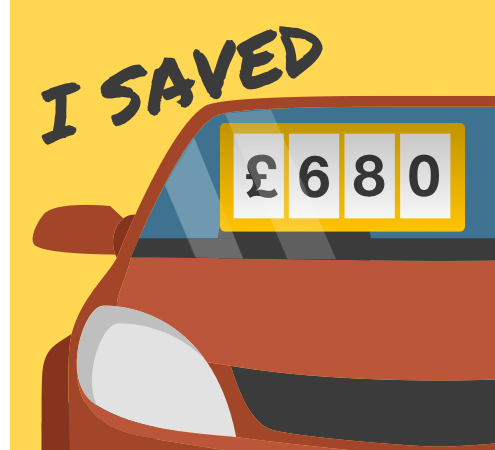 Repay IN FULL to minimise the 18.9% rep APR interest. Won't spend abroad by then? The Starling debit card is totally fee-free on spending AND cash, and pays small in-credit interest. Full info in Travel Credit and Debit Cards. 'I split my train ticket into 10 journeys to save £90' - EXTREME split-ticketing. A cricket fan went all out, with a technique anyone can use, for train tickets to watch England's clash with India on Fri. See split-ticketing. We check our mobiles every 12 mins on average, according to regulator Ofcom. But do you also check if you're getting a good deal? Our poll of MSE users in Jan found 64% use less than 3GB/mth of data, while Ofcom says the average is sub-2GB. You can easily pay less than £10/mth for that, yet many shell out more. 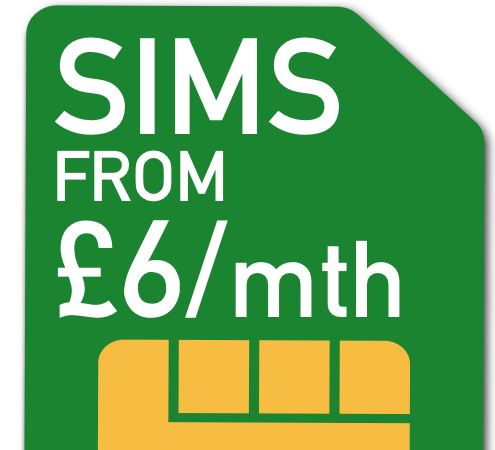 So if out of contract and happy with your handset, see if you can save with a new, cheap Sim. Pick a Sim with the allowance YOU need. The Sim's the little chip you stick in your phone that gives you data and calls from your network. Buy too low an allowance and you face hefty charges if you go over; go too high and you also overpay. To find your real usage, check recent bills or use a free tool. Then switch to a top-pick Sim. There are some stonking new customer deals below, ranked on the amount of data you need. These are the top picks but see our Top Sims guide for lots more options, particularly if you struggle to get service with any of the networks listed here. (1) You pay £19/mth but you're sent an £80 cheque within 2mths of your contract starting, so it's an equiv £12.34/mth. Or... no contract, no credit check, 8GB, unltd mins & texts: £15/mth + £20 Amazon vch. This pay-as-you-go deal from Smarty* (on Three's network) is cheap and refunds £1.25/mth per unused GB, so, use 2GB and you effectively pay £7.50/mth. You'll also be emailed a £20 Amazon vch within 3 mths, provided you activate the Sim and make three monthly payments. Full help in PAYG Sims. You can keep your number, plus other top switching tips. - Keeping your number's easy. It normally takes just one working day. See Number porting. - You may need to unlock your phone. Firms have to let you if you're out of contract. See Unlock your phone for free. - Don't want to change network? Haggle. Mobile firms are among the easiest to haggle with. See Haggling help. "Thank you for your free airport water tips - saved me buying a bottle." Do you or someone you know struggle to find the best deals for products and services? Maybe you or they are vulnerable or have a disability? Whether for mobiles, energy, food or something else, the Competition and Markets Authority wants to hear the challenges consumers face when shopping around. Your experiences will help inform its thinking and future work. If you want to have your say, post on its MSE Forum thread. The MoneySavingExpert.com Annual Census. So who are MoneySavers? For the fifth year running, rather than data-mining, we reckon the politest way to find out is just to ask. Welcome to the fifth annual MSE census. First Direct tops our banking customer service poll. Last week, we asked you to rate your bank account's service and once again First Direct claimed top spot, with 89% of its customers voting it 'great'. Perhaps unsurprisingly following its recent IT woes, TSB came bottom with HALF of its customers rating its service 'poor'. See full banking poll results. - Debt-Free Wannabe chat of the week: Help with catalogue bills/interest? - Family, marriage, relationships chat: Should I increase working hours? - Discussion of the week: Best cheap cat litter? Q: I have plenty of mobile data and a good signal - can I use it to get away without paying for broadband at home? George, via email. MSE Weleid's A: To do this, you need to use your phone as a mobile hotspot, called tethering. This creates a wireless network from your phone that you can connect other devices to such as a TV or laptop. Not all mobile networks let you do it, and some impose restrictions, so check. But this approach comes with risks, as a standard broadband connection is less likely to drop out. Also, using the internet on your phone will sap battery power. To help you make a final decision, compare both the best mobile deals and best broadband deals as broadband can cost less than you think. WE'RE NOT FASHIONISTAS, BUT £45 FOR A YELLOW HIGH-VIS COAT? EH? That's all for this week, but before we go... parts of social media went into a frenzy after a neon yellow high-vis coat went on sale last week for £45 - the cyclists at MSE couldn't tell the difference between it and their much cheaper safety jackets. So being the MoneySavers we are, we found a similar number for £10, but other than as a safety outfit, or if you really need to be seen, would you touch either? Share your thoughts on our high-vis coat Facebook post.